Home / Latest News / Back to where we were…..
Back to where we were…..
After the joy of rehoming 7 dogs on Saturday, we are back to square one, with 7 dogs in today. Five of them are puppies, and they are going to be BIG dogs! 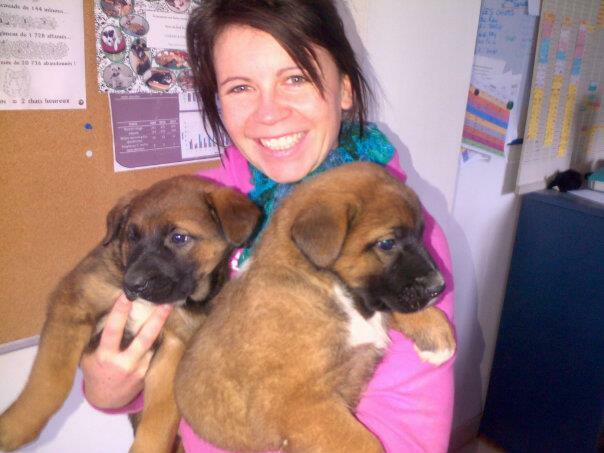 Here is one of our lovely volunteers, Audrey, with as many puppies as she can hold. Not many, but she is not exactly big herself! Previous: 7 dogs adopted today- amazing!